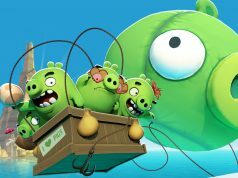 The game boasts 50+ levels designed to bring a new dimension to the popular mobile franchise, letting you take the slingshot in your own hands and destroy the topsy-turvy 3D structures in effort to kill the evil green piggies within. 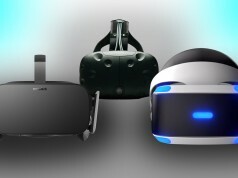 As a VR-native, you can approach each level from a variety of different angles to find that one-shot, three-star victory you’re painfully addicted to. 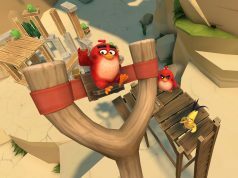 The studio plans to launch Angry Birds VR: Isle of Pigs across “additional VR platforms” in the coming months, and will also be updating with more levels and gameplay. As it is now, the game features four bird-brained ammo types, and two enemy classes, so there’s no doubt plenty of opportunity to flesh out with the franchise’s other tropes. I wasn’t that big a fan of angry birds, it was a fun time killer. But it looks really fun in VR. Agreed. If this isn’t laced with micropayments, then it looks like a good buy. Anyone tried it with WMR?